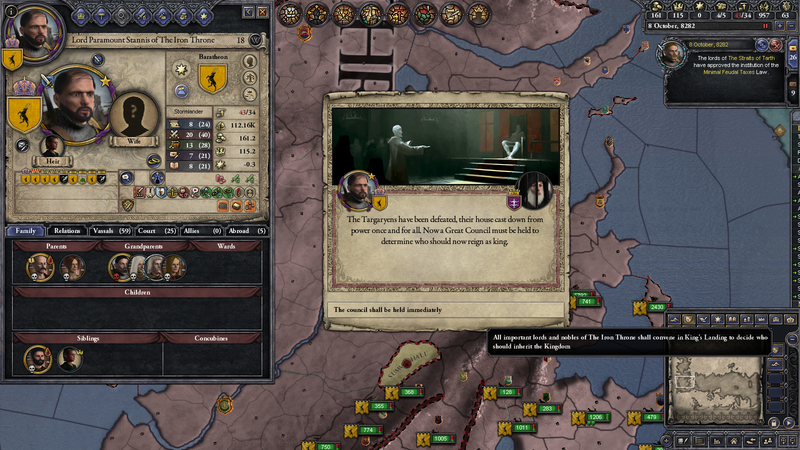 A Game of Thrones is a total conversion mod for Crusader Kings II, based on George R. R. Martin’s fantasy novel series, A Song of Ice and Fire. 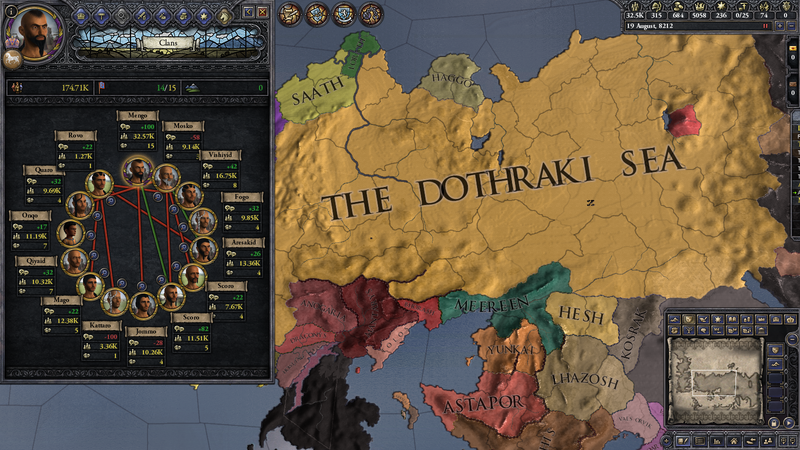 Read about how we are using the nomad mechanics for the Dothraki. I hope everyone has been enjoying 1.0, and thanks to everyone who has given feedback and bug reports, it is really helpful. Ever since the Horse Lords DLC was released, some have been wondering what we are doing with the nomad mechanics, and why they weren't utilised in the 1.0 release. We do intend to use them for the Dothraki, as they are pretty much made for them! 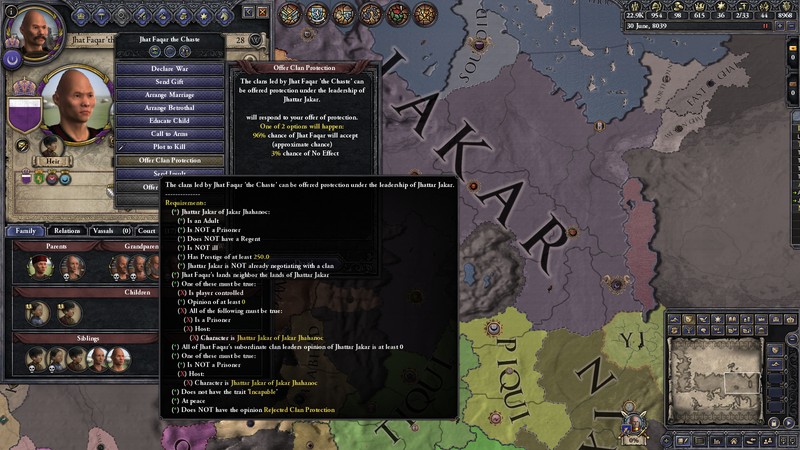 However, currently the nomads are only active if the DLC is turned on, leaving them to be normal tribal rulers if not. This is not good for us as it means we would have to maintain both the old system for those without the DLC and the nomad system for those with it. 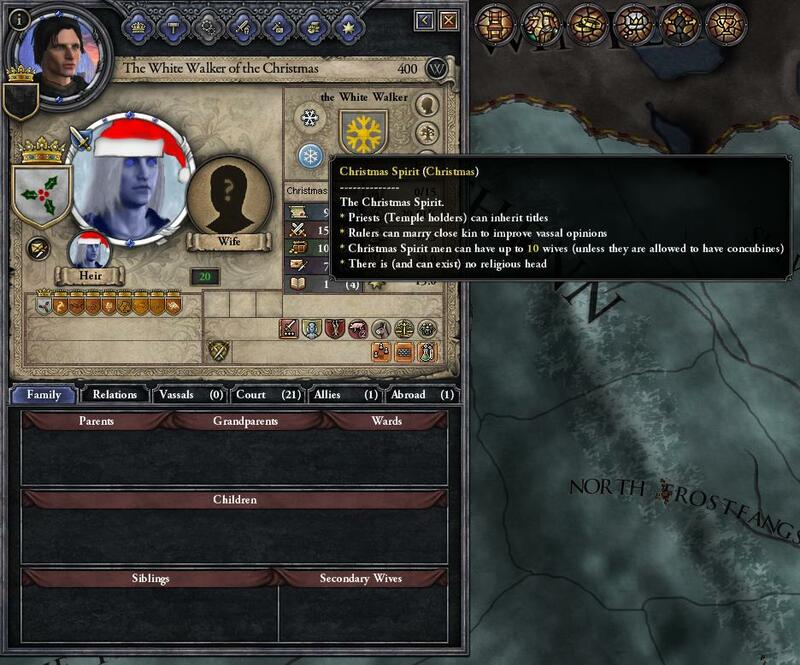 I look forward to your next update, such a great mod! Great mod, great developers ! 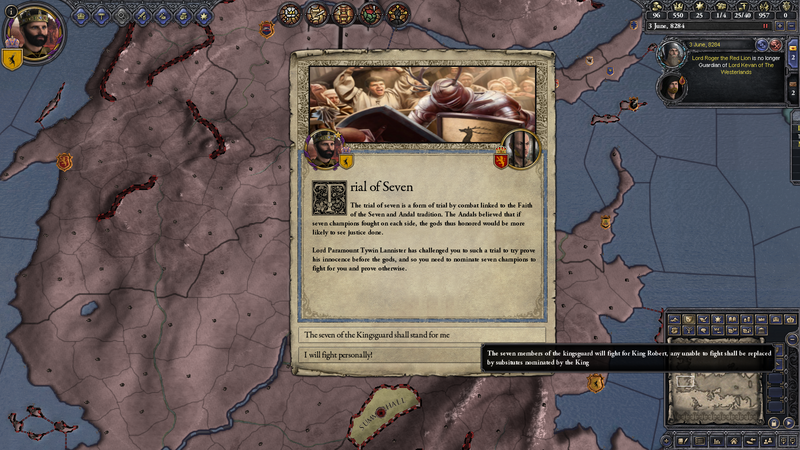 Can't say I really like the Horde system from Horselords.You can call the the mod Game of Horse after that...no chance any AI faction will beat the nomad factions. 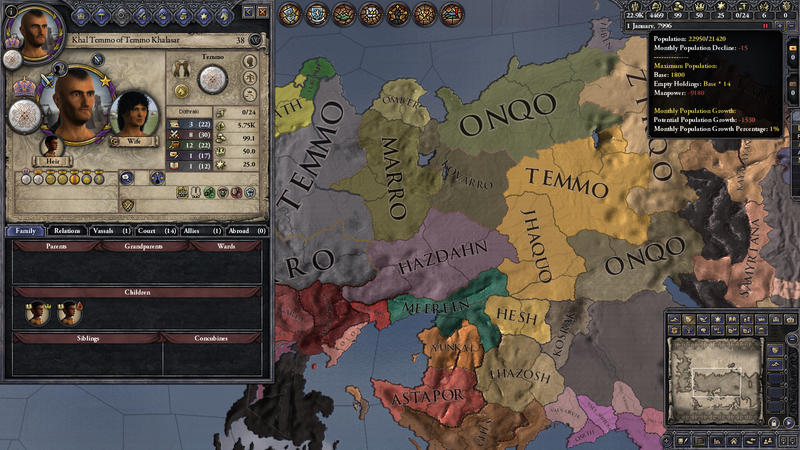 To be fair, beating back the nomads (in terms of conquering their steppe territories) is ahistorical in the extreme until the very late game. 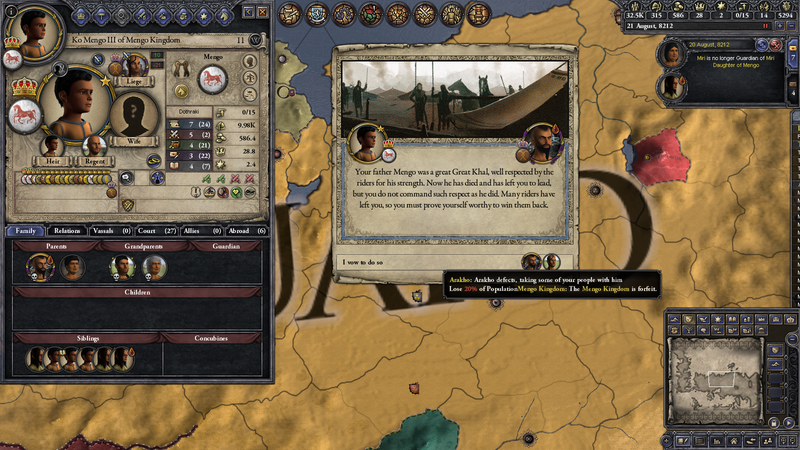 Both the AI and historical powers have been able to defeat the nomads in battle though. my game crash with this mod, v2.5.1 ¿anyone have the same problem? 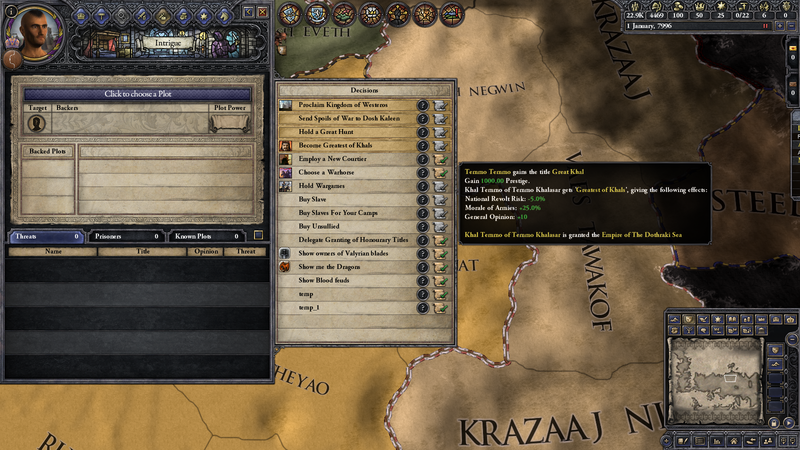 This mod is compatible only with CK2 version 2.4.5, you have to wait for new version of the mod so it could be compatible with 2.5.1. When will be the next update? I was wondering if someone could help me. I used to play the mod all the time, however about a year ago it stopped working, simply crashing any time I tried to open the game with the mod running. I want to start playing again but I don't know how to fix it. I am currently opted out of all betas and have deleted and re-installed all the mod folders and CK2 folders etc. Any step by step help would be greatly appreciated!